With more than two million verified pro reviews and one of the industry's most comprehensive screening processes, HomeAdvisor gives you the peace of mind that comes from knowing you hired a pro you can trust. CTX Roofing LLC is proud to be a screened and approved HomeAdvisor Pro. The TAMKO Pro distinction is held by the elite contractors who have successfully met the stringent requirements of TAMKO's Pro Certified Contractor Program. TAMKO Pros offer a level of professionalism that sets them apart from the competition in every aspect of the service, and are able to provide customers with a variety of outstanding building products and warranty benefits. Firestone Building Products is a leading manufacturer and supplier of products for commercial building performance solutions, offering the highest standards for industry leading warranties, extensive services and support, and innovative products. 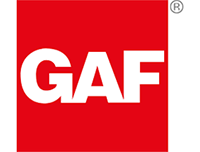 The leading roofing manufacturer in North America, GAF has manufactured and sold a wide variety of high-performing residential and commercial roofing products that exceed customer expectations for over a century. GenFlex Roofing Systems is a leading, full-line supplier of high quality, single-ply roofing products for the commercial roofing market. IKO is a global leader in the manufacture and supply of residential shingles, commercial roofing and waterproofing products, insulation systems, and accessories. Senox Corporation is a leading manufacturer and supplier of seamless gutter products for residential and light commercial construction. Including general liability insurance & workers’s compensation.